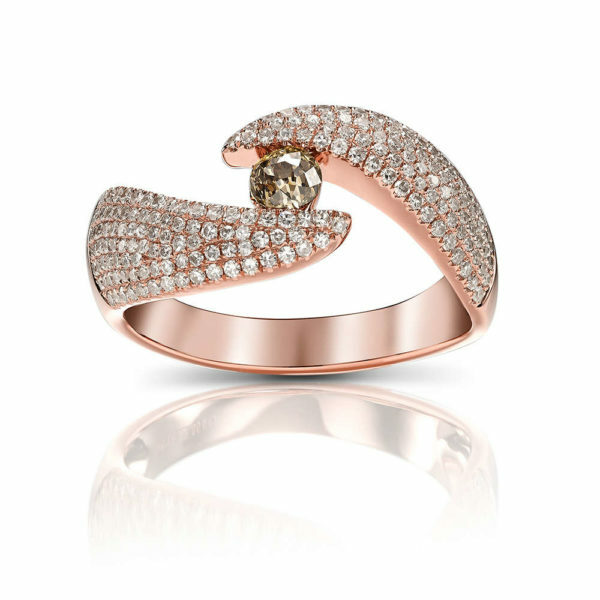 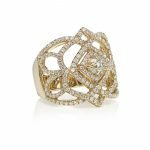 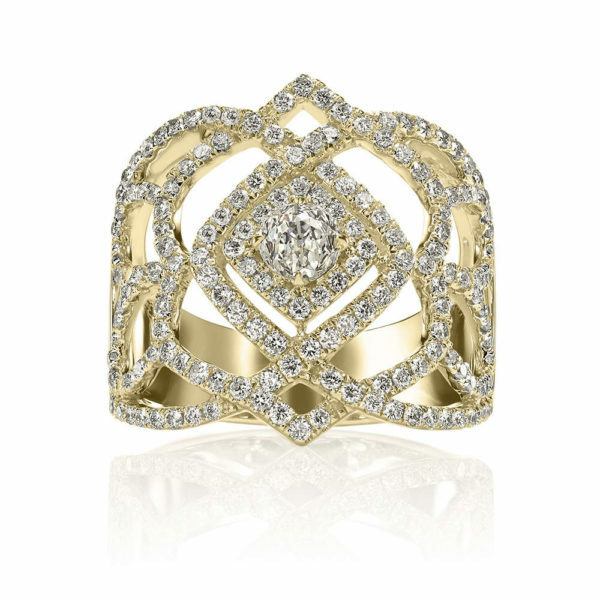 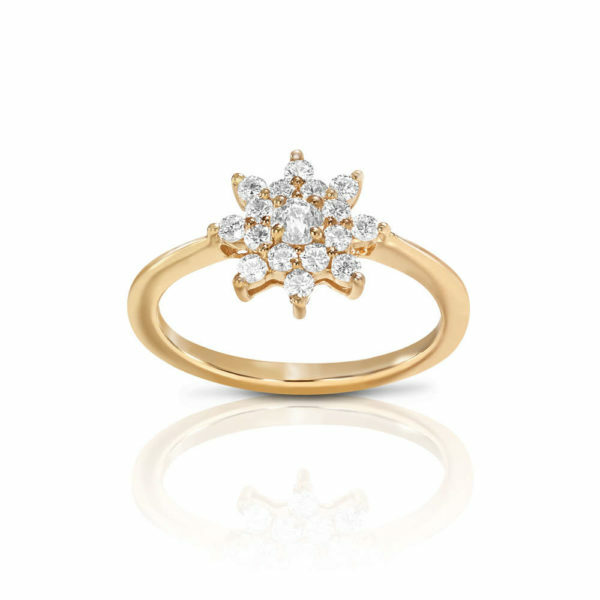 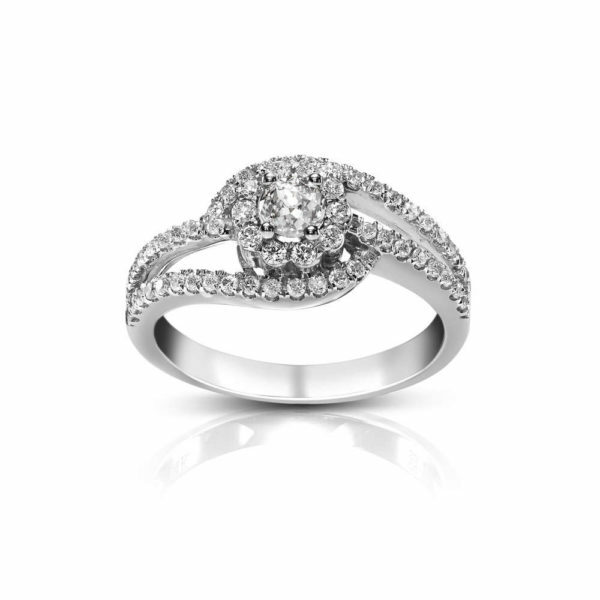 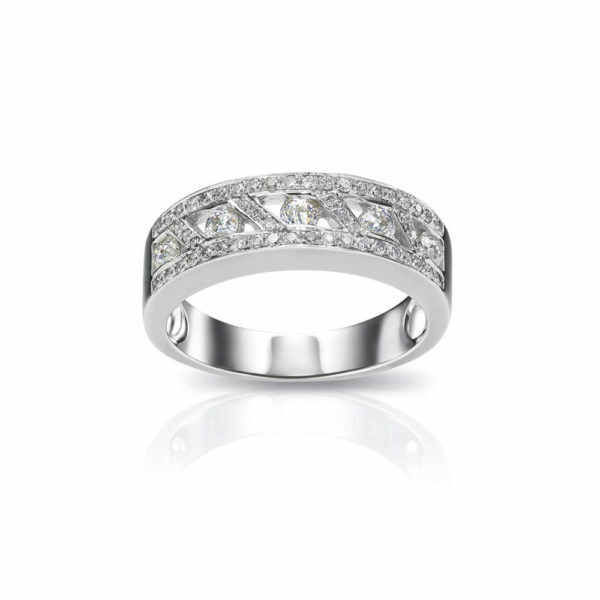 14 Karat Yellow Gold Pave Diamond Ring with a Center White Crown of Light Diamond. 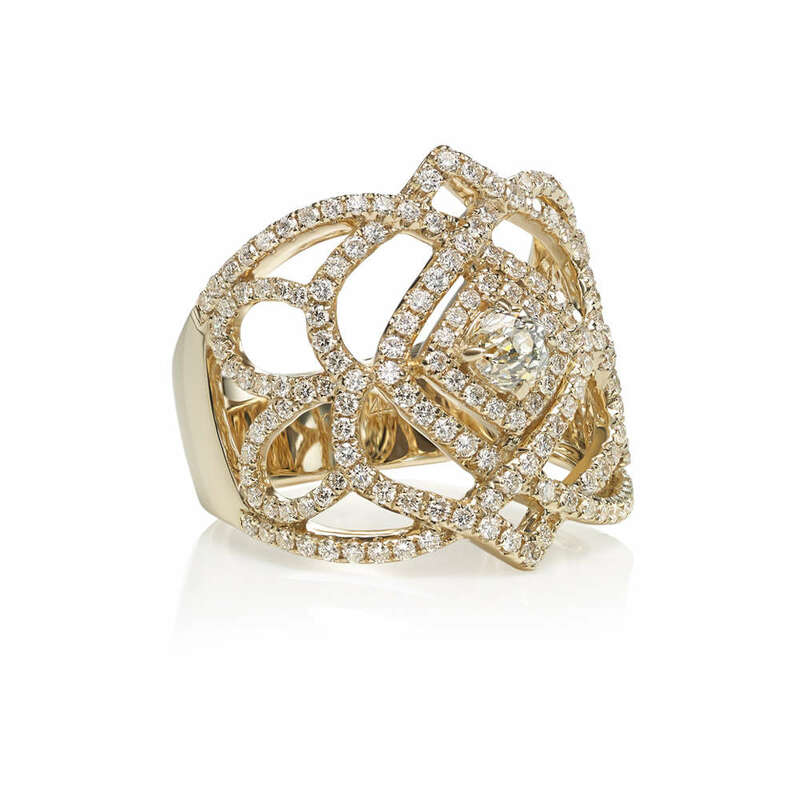 Portraits of elegance and dignity, majestic icons became beloved muses of renowned designers and jewelers. The Crown Regal Ring celebrates those confident innovators who changed how the world looked at contemporary royal couture.